BUT … there are now so many screenwriting competitions, preparing submissions is time-consuming and can set you back quite a bit of $$££€€. So what’s a writer to do? Also consider competitions related to Film Festivals, especially Cannes, Berlin, Sundance, Austin and Nashville, and genre-specific competitions, such as the various Screencraft contests. Don’t fall at the first hurdle by presenting a script that is full of typos and in non-standard format. You may think you’re too much of a storytelling genius to bother with such niceties, but the readers you have to get past certainly won’t. Preferably you will have gone through several drafts and even employed the services of a script reader such as Lucy V. Hay herself (whom I wholly endorse and recommend!). BIO: KT Parker is a screenwriter and producer. She is currently producing her play, “The Chamber Of Beheaded Queens”, for the Page To Stage Festival in Liverpool (April 2016) and will shortly be off to Hollywood for the awards ceremony of Final Draft’s “Big Break” Contest, having won the period/historical/war category with her screenplay “A Face To Paint”. Check out her crowdfunding campaign, HERE. Very helpful advice. I’ve submitted to many contests, initially in an unplanned, scatter-shot approach. I placed in a few, but it cost a lost of money. I’ve become more selective subsequently, but I still try to make sure I have a script or two under consideration somewhere, with a plan for where to submit next. 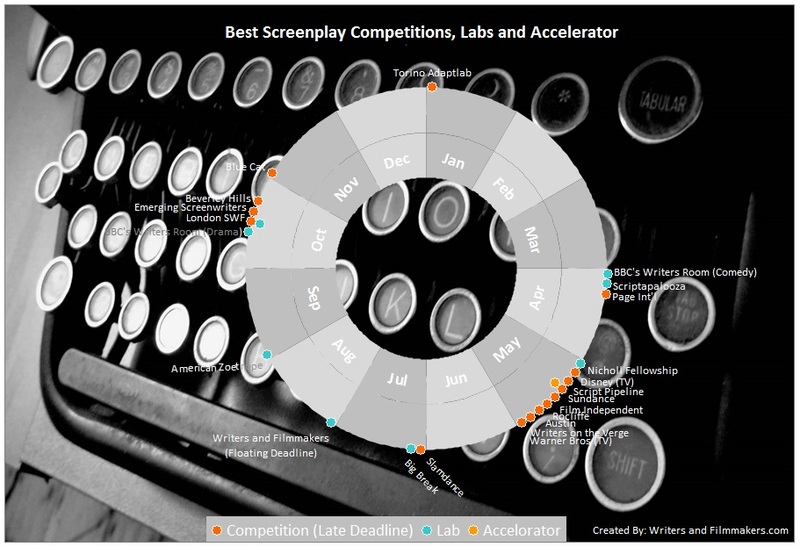 Worth noting there are increasing numbers of contests seeking to fill specific niches – adaptations, true stories, particular genres, TV pilots etc. 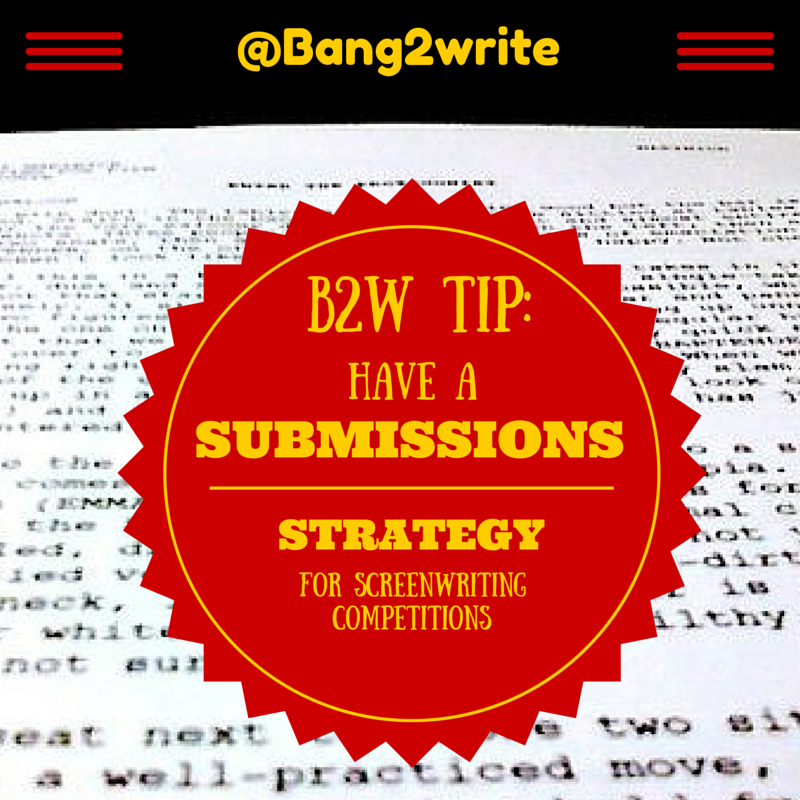 Your strategy can include a simultaneous submissions of the same script to a big name contest that accepts all comers and to a lower-key, lesser-known but genre-specific contest. You can weigh up what’s worth more – winning a lesser-known contest versus reaching the quarterfinals of a big one. This is great advice and helps me with my goal for this year to focus on my writing first to ensure its the best it can be then trusting that the right contest will come at the right time and if the opportunities are not this year than next year, because otherwise I become focused on the contest rather than the work and the expectations, i.e. the outcome, and that derails my focus and I submit work that isn’t ready, these contests are annual so what have I to lose by working only scripts until they’re ready and then submitting rather than panicking in the fear that this could be my one and only chance to become a professional writer. Great post! Incredibly helpful and couldn’t have come at a better time! Lack of a submissions strategy certainly tripped me up last year as I was completely overwhelmed by the number of contests I could enter. Here’s to a great 2016 for all our writing goals!